In 2015, post-rock – or instrumental bands whose musical traits find them (often reluctantly) attached to this incredibly broad colloquial term – feels at times like a genre that has had its time in the sun. Perhaps more accurately, it is a genre that is being forced to evolve – established acts are exploring new territory in a seemingly defiant stance against tired and one-dimensional expectations, whilst new arrivals are emerging with fresh and original ideas that challenge and dissolve the old conventions. Wicket may be fresh off the press, but the Welsh trio are apparently more than happy to embrace the more orthodox face of the instrumental rock world – a world that has certainly served the likes of Caspian and Explosions in the Sky perfectly well over the course of their respective existences. 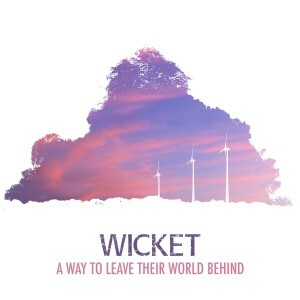 Whether Wicket are cricket fans or Star Wars fans remains to be seen, but one thing that does become plainly apparent over the course of this début full-length is their skill with melody. The production falls slightly flat and hinders any potentially tangible dynamics that might have made the album truly glisten, yet their keen ear for melody is prolific enough throughout to save A Way To Leave Their World Behind from a forgettable fate. However, opening track ‘We Were Sinking’ feels like a band playing it safe, providing a solid-if-formulaic piece of by-the-book post-rock that twists and flows in all the expected directions yet enthrals in few. It is not until second track ‘Derwentwater’ that Wicket begin to sound like they have something exceptional and auspiciously unique to offer, but when it does appear, they shine. For this band, their moments of magic come when they hold back; it is not the climax, but rather the explicit lack of it, that truly defines them. The sense of calm, wistful simplicity within Raurie Allen’s guitar notes is truly delightful to experience, and whether basking in the tranquillity of the aforementioned song or the melancholic twang of ‘Get In, Ms Riley’, the honesty within the songwriting becomes mesmerising in its bare-faced beauty. The ten-minute ‘Chant In Lonely Peace’ may feel like a directionless trip as it wanders around its wonderfully warm opening notes, yet the slow, meandering crescendo and eventual apex exemplifies exactly why Wicket and contemporaries Gifts From Enola shine so brightly. ‘The Scientific Method’ doesn’t show its true colours immediately, and feels at first like a weak end to an entirely promising début, yet its own finale proves to be the most affective moment on the album, closing with an abundance of emotion and reflective exhilaration. The true charm of post-rock manifests itself during those moments when the listener is transported to places both poignant and sincere; where all outside influences disappear from the waking world and emotions rule over all. While Wicket may not be not consistently convincing in their quest to turn heads within the instrumental rock world, there is a subtle resplendence within their collective heart that, most significantly, cannot be forged or fabricated. Despite the occasional lapse into generic territory, A Way To Leave Their World Behind comes into its own with a remarkable sense of modest confidence, relying less on effects pedals and more on the band’s own sense of the beauty of the world around them. 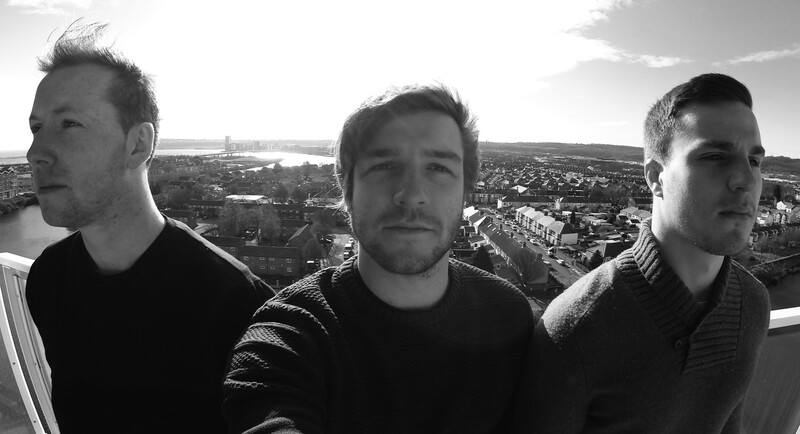 With the likes of Talons and Brontide keeping the torch burning brightly for UK instrumental rock last year, Wicket have set the bar high in the first quarter of 2015, and it feels like this is but a fleeting glance of what the Cardiff trio are capable of.